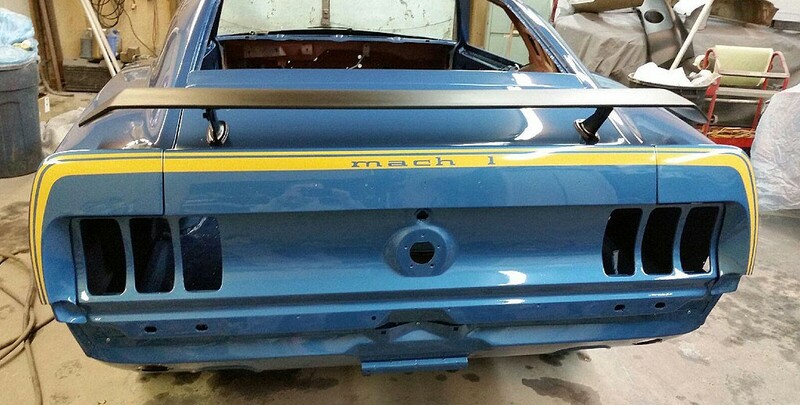 This was a customers “project car” who needed some help heading the finish line. 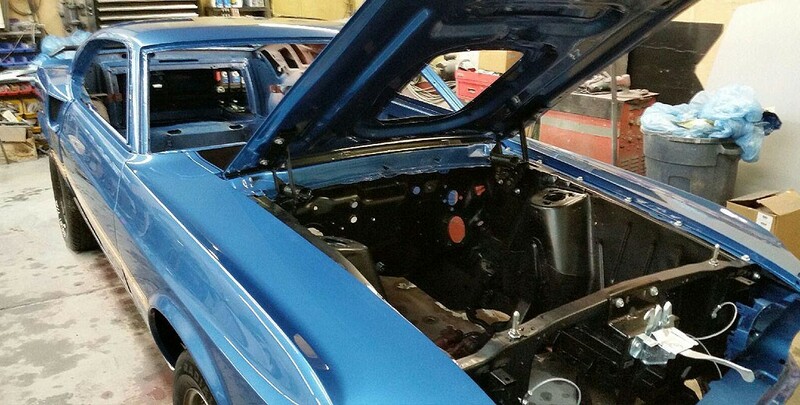 There were a number of OEM parts which were fitted to the vehicle and matched up to the existing body. 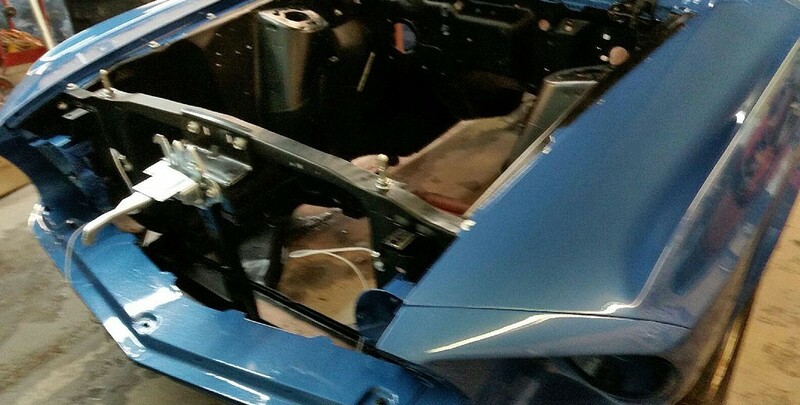 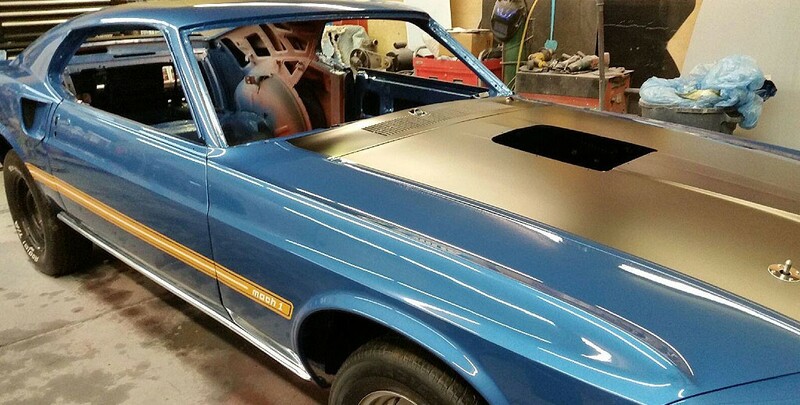 After a partial quarter replacement and metalworking needs, it was finished with a Acapulco Blue. 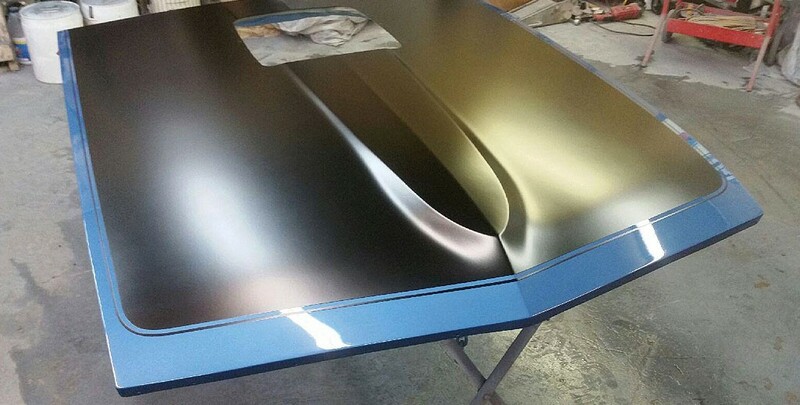 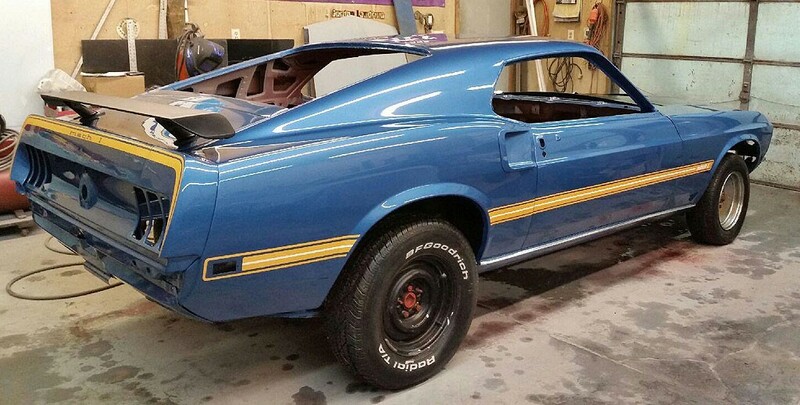 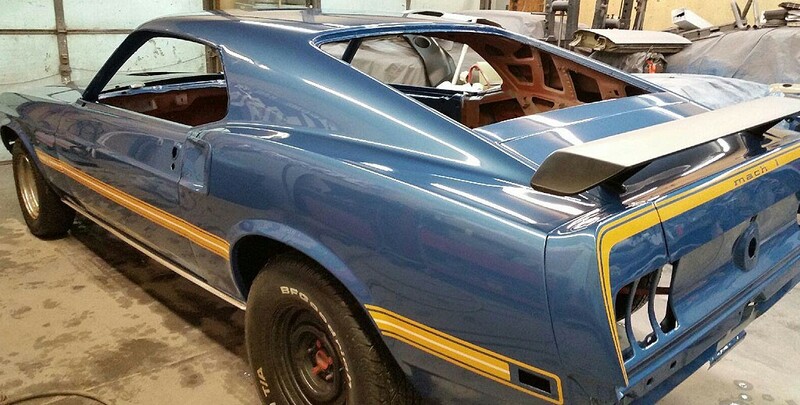 Keeping true to the Mach 1 traditions, gold stripes down the door and decklid were added as well as a satin black hood and cowl.